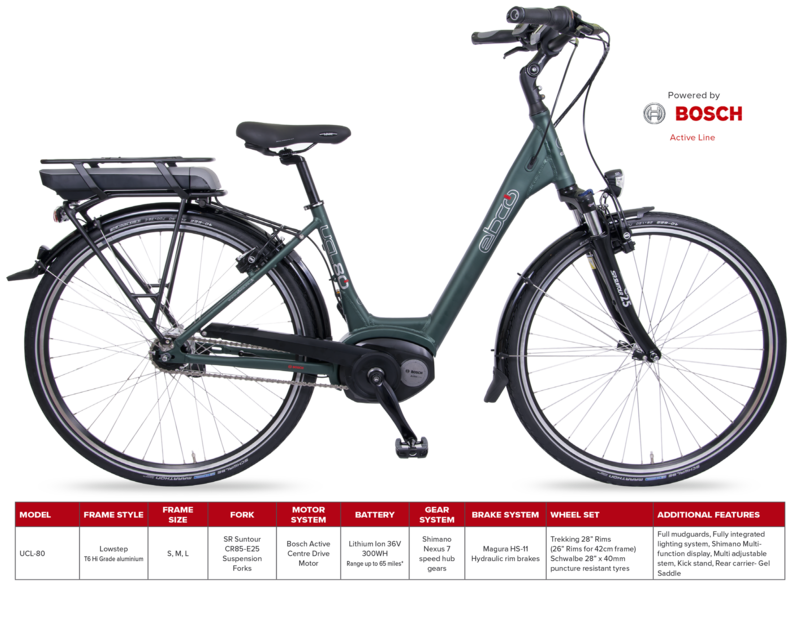 Bosch Active Drive Centre Motor with 4 power support modes and walk assist function (taking the bike up to 4 mph) an informative handlebar mounted LED display delivering a complete range of information. Lithium-ion 36V 400WH Bosch battery which locks securely and is removable for charging (charger supplied). Weight of bike including battery: 25Kg Approx.